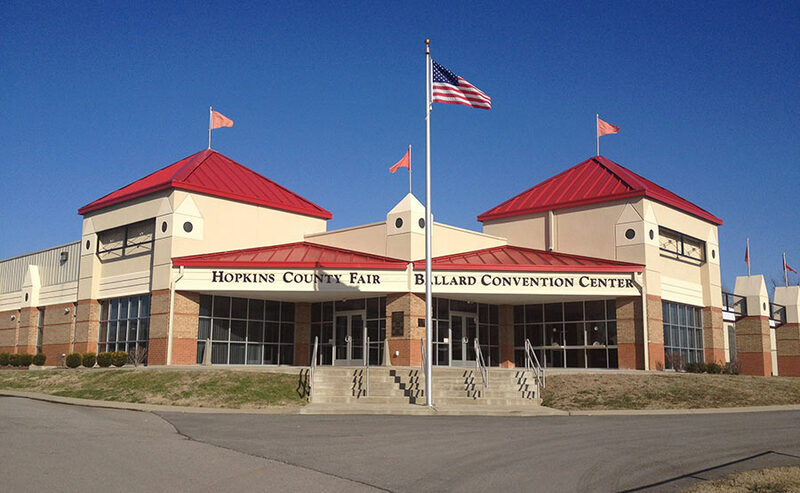 This project is a result of the great determination and efforts of The Hopkins County Fair, Hopkins County Agriculture and Convention Committee, Hopkins County Fiscal Court and State Representative Eddie Ballard to develop a vision for bringing a convention center to Madisonville that will serve multiple uses and help with the city’s revitalization efforts. The center will play host to and be able to accommodate up to 500 people. It will have dividable conference rooms, a ticket sales area, a concession room and a large set of restrooms.